If only publishing was as easy as deciding on a title for this post! 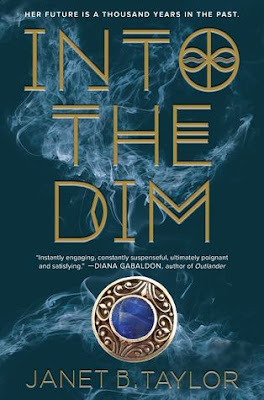 We welcome Janet B. Taylor, author of INTO THE DIM, today as she shares her success journey to the Emerald City of Publication why Twitter made all the difference! Just before Thanksgiving, 2011, I'd just returned from a trip to Scotland, and I could not stop thinking about this place in the Scottish Highlands called Glencoe. I've been all over Europe, but there's just something so special...so pristine and primal about the Highlands. It haunted me. And from that day to this one, he's done EVERYTHING, so I can have time to write. He is my Prince Charming! Writing the book took me about six or seven months. Then…I realized how very, very much I didn’t know. My degree is in biology, for crying out loud! And I'd been out of school for a umm... *cough* couple of years. So I set out to learn all I could about the 'craft.' A myriad of classes, dozens of writing books, daily blogs, online courses. You name it...I did it. A gazillion, bajillion edits later, I won the 2013 #PitchWars, which is a Twitter-based writing contest, put on by author Brenda Drake. Out of over 1,500 entries, I received the most agent requests. Up until that point, it was the most they'd ever had. It got me a LOT of attention, which is what you want. And shortly after, I signed with rock-star agent, Mollie Glick, and became the luckiest girl in the land! Mollie and I worked on the book together for several months. In Oct. 2014, we went on submission. Two and a half weeks later, we went to auction, and I ended up signing with my number one choice, Senior Editor Sarah Landis at Houghton Mifflin Harcourt for Young Readers. 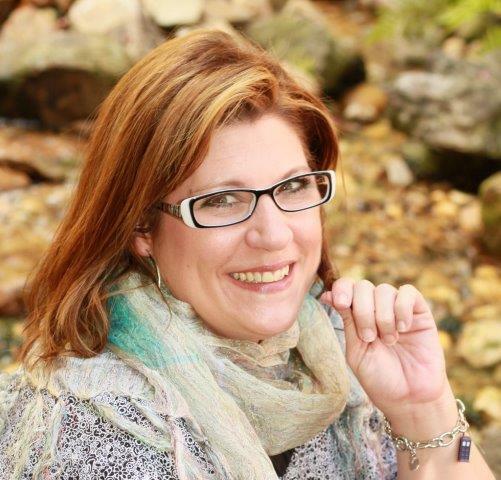 All joking aside, I really give the credit to Brenda, my phenomenal mentor-Heather Webb, and the whole #PitchWars experience for getting me "past the gatekeepers" so to speak. The best advice I can give anyone who's trying to make it to and through the query phase, is to get involved in the writing community! Online, in your community, at conferences or festivals. or all of the above. Do contests. Get on writing chats. TWITTER. TWITTER. TWITTER. Or...whatever works best for you. To me, those things are absolutely, one-hundred percent vital to pushing through and making it past that nasty old gate. Just know that you don't have to "suffer" alone. There are so, so many others out there in the same boat. Besides gathering contacts, sharing resources and information, you will meet some of the most wonderful people, and will likely make life-long friends to boot! When fragile, sixteen-year-old Hope Walton loses her mom to an earthquake overseas, her secluded world crumbles. Agreeing to spend the summer in Scotland, Hope discovers that her mother was more than a brilliant academic, but also a member of a secret society of time travelers. 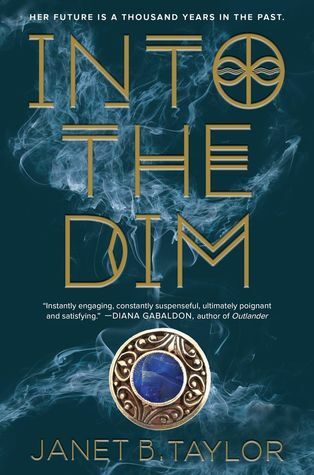 Her debut novel, INTO THE DIM is about a 16 year old girl who travels through time. Totally on purpose and stuff. She's a reader/fan first and a writer second. She lives with her fantastic husband, two hilarious sons, and Dorda the diabetic dog who won't win any beauty contests, but has a "nice personality".